Are you a solo traveler on a lookout for the cheapest staying options in Goa? If your answer is yes, then here is a list of options that are cheap as well as classy hostels that will not only provide you with a bed to sleep but memories that you will remember forever. From making friends to chilling out on the rooftops, these hostels have everything a solo traveler can ask for. Just book a Jaipur to Goa train, come here to have fun and make memories for lifetime. Here is a list of hostels that will make you feel like never leaving from Goa. Papi Chulo: Built on top of a cliff above the Vagator beach, the location makes this hostel an asset for travelers seeking a cheap place to stay. You can easily hire the bikes and scooties from the place and head on to famous Sri Restaurant and Sunburn festival which is located just 5 minutes from the hostel. Not only you get cheap stay but you also get to meet the travelers from all over the world. What’s even more exciting is that you can cook your own food on the stoves provided in the common room. The bed prices are amongst lowest in Goa as you can get one for just Rs 199. Backpacker Panda: With chic designs, 24- hour reception and a location to do die for. The hostel is an exciting addition to the backpacker’s hostel, you can chill here for as much time as you want. Not only this there is also an unnamed beach you can reach in just 1 minutes by walk. With ultra speedy free wifi and the hostel also has separate private rooms, game lounges and common rooms where all the travelers come together and chill. The price range is quite modest with highest being Rs 499 and lowest Rs 399. 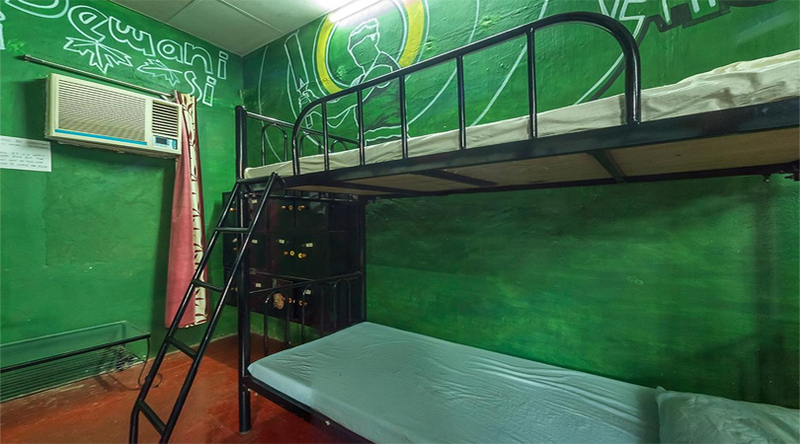 Bollywood Backyard: A unique hostel in its own rights, this backpacker hostel is inspired by the action heroes of India, with walls painted with the images of Amitabh Bachchan, Dharmendra erc. You can easily fit into a dorm here with free wi-fi and breakfast provided to you with clean beds and chance to meet people who will inspire you to travel even more. Famous amongst Indians as well as the foreigners, you can get a bed at just Rs 179 which is suitable for any budget traveler. Jungle: One of the first backpacker’s hostel in Goa, the place was once a Portuguese house in the colonial era. However the new owners modified it a bit and loaded with essentials like wifi, breakfast, lockers and a cafe that you must try. Located in a expansive green area, the hostel gives an impression of a jungle with a huge garden and an amazing common room. The prices for dorms start at Rs 400 and goes upto Rs 1400 for deluxe private room. Zostel Goa: Fast becoming one of the best backpacker hostel chains in India, Zostel provides you with an experience you will never forget. A party destination for the young travelers, Zostel can easily accommodate 50 people in it’s common room. Loaded with with entertainment facilities like foosball and various board games you will have an amazing time here as this hostel never sleeps. 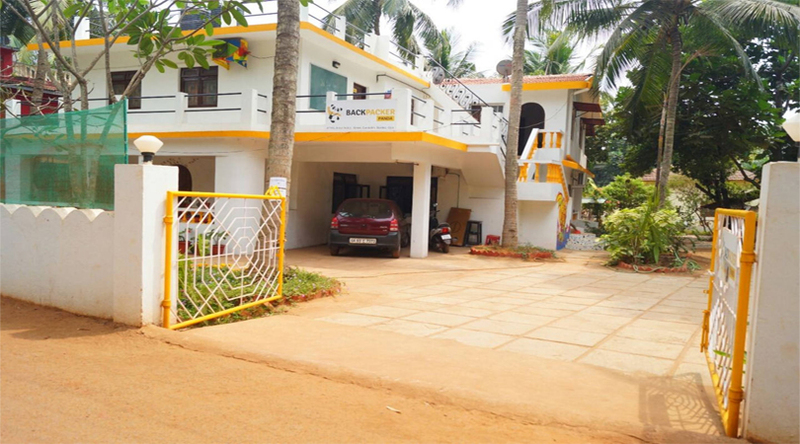 Located close to Calangute beach, you can take a bath and return to hostel with beds priced at just Rs 400 for dorms and Rs 1400 for Deluxe private rooms. With so many amazing stay options available for you, don’t worry about the expenses as they are available at dirt cheap prices. Pack your bags, hop on to the Jaipur to Goa train and get ready to have an awesome time with new friends and an awesome location.